March 10, 2014 -- VIENNA - Faster heart rates are the last thing radiologists want with coronary CT angiography (CTA). But that's apparently what they get when using a contrast agent with a slightly higher iodine concentration, according to a Monday presentation at ECR 2014. In a study of more than 200 patients, Austrian researchers injected one of two iodinated contrast agents in two similar groups prior to coronary CTA, monitoring the heart rates of both patient groups during the CT scan. Less than 18 seconds after beginning the contrast injection, patients receiving the slightly more concentrated formula experienced significantly higher heart rates. "After 10 to 12 seconds, there is a significant increase in the heart rate, and after 15 seconds, the difference between the two groups is significant," said Dr. Christian Loewe from the Medical University of Vienna. Dr. Christian Loewe from Medical University of Vienna. Radiologists are familiar with the close relationship between heart rate and image quality in coronary CT angiography: the higher the heart rate, the lower the image quality, Loewe said. "Therefore, we decided to assess in a prospective trial the difference of different contrast agents on the heart rate and heart rate variability during CT angiography of the coronary arteries," he said. The study included 207 patients (mean age, 57.5; 112 men) referred to coronary CTA to rule out coronary artery disease. CT was performed after randomization to either the more concentrated iomeprol (Iomeron 400, Bracco Diagnostics) or iodixanol (Visipaque 320, GE Healthcare). The radiologists reading the studies were blinded to the contrast agent used. All patients were older than 18 years, with a heartbeat in sinus rhythm of less than 70 beats per minute (bpm). Exclusion criteria included a history of coronary intervention or renal insufficiencies, among other conditions. Using a mobile monitor, heart rate was first assessed for one minute during a noncontrast calcium scoring exam, and these data represented the baseline heart rate. Next, the group assessed heart rate for six minutes during coronary CTA to determine heart rate variability. Finally, image quality was assessed on a five-point scale, with 0 representing nonassessable segments and 4 meaning excellent. There were no relevant differences between the iomeprol (n = 106) and the iodixanol (n = 101) cohorts in terms of age, body mass index, or gender, Loewe said. Patient weight was evenly distributed between the two contrast groups, including the 25 obese patients (> 100 kg) and five very slim patients (< 50 kg). Contrast enhancement was evaluated at four predefined anatomical regions. The patients were also divided into three groups depending on body weight, Loewe noted. The researchers defined three contrast injection protocols for the three body-weight groups "to make sure that patients in the same body-weight group received the same iodine delivery rate," he said. This translated into a flow rate of 6.2 mL/sec for the iodixanol group and 5 mL/sec for the iomeprol group for normal-weight patients. In obese patients, the flow rate rose to 7 mL/sec in the iodixanol group and 5.6 mL/sec in the iomeprol group, and the differences in flow rates between the two agents were statistically significant. As for heart rate, 33 seconds after the start of contrast administration, iomeprol was found to induce significantly greater heart rate increases than iodixanol, Loewe said. There was a significant increase in heart rate after 10 to 12 seconds, and after 15 seconds, the difference between the two groups was significant. "This was the most important finding of the study," he noted. While both contrast agents increased mean heart rate within 60 seconds after injection, iomeprol elevated heart rate earlier and to higher levels, with a peak heart rate change of 13 bpm, compared with a peak increase of 7 bpm with iodixanol. Among the 177 patients with body weight between 50 kg and 100 kg, differences in heart rate became significant within 18 seconds after the start of contrast injection. 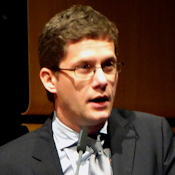 In terms of contrast enhancement of the arteries, iodixanol achieved slightly higher enhancement levels than iomeprol, but the difference was not significant, Loewe said. "Image quality was much higher in the iodixanol group compared to the iomeprol group, and the number of segments with poor image quality was higher in the iomeprol group," he said. There were no significant differences in contrast-to-noise ratio or signal-to-noise ratio between the agents, meaning the lower iodine concentration has no effect on arterial enhancement. "The risk of heart-rate-induced artifacts could be reduced and image quality improved" with the use of iodixanol, he concluded.